Posted on 23/05/2017 at 8:35 am. 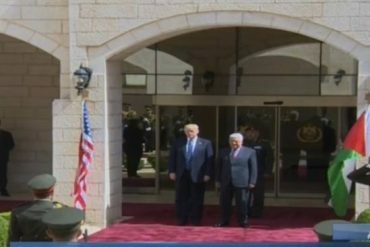 BETHLEHEM, May 23, 2017 (WAFA) – US President Donald Trump arrived in Bethlehem on Tuesday where he was received by President Mahmoud Abbas. 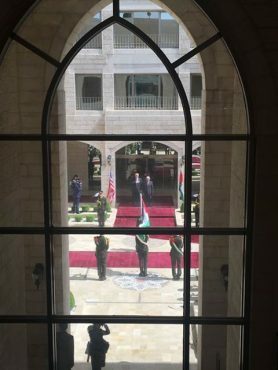 The two leaders inspected the honor guards before starting their talks.